Tonight at 8 o’clock you can join a revolution. No need to wave a flag or march in the streets; it requires no effort or cost. You can do it from the comfort of your own armchair, while you are simply watching television. For this evening, during Channel 4’s award-winning Dispatches programme, you can join thousands of others whose viewing habits are about to be transformed by an innovation created right here in Newcastle. 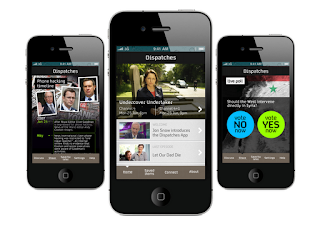 Anyone with an iPhone, Android smartphone, or even an iPad – can download the free Dispatches app and, as if by magic, your phone will link to your television screen during the programme and a wealth of additional content will flow straight to your device. When a topic is mentioned in the documentary, your phone will vibrate and ping, and bespoke graphics, maps and other useful stuff just appear. You can save or share the content with your friends and simultaneously join the Twitter feeds directly related to the programme. You’ll be able to take part in live voting and download reports. What you’ll be enjoying is the world’s first live interactive television “second screen” experience. So why do television viewers need this extra distraction? Isn’t it enough to simply watch the programme? Well, the sad fact is that most of us don’t. Recent research suggests that nearly three-quarters of viewers are distracted by mobile devices while they watch the box, usually by tweeting or texting (often about the programme’s content), or keeping up with “friends” on Facebook. Now broadcasters want to fight back and harness these straying eyes within the programme experience. That’s where “second screen” comes in. I met Paul Rawlings a couple of years ago. He is, by his own admission, a geek. He is also a genius. He’d started a business called ScreenReach Interactive with private funds. 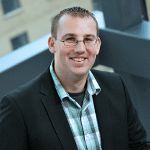 Paul had invented a technology called Screach, which is effectively a new computer language that can link mobile phones with screens on mobile advertising sites, or events, such as football matches or exhibitions. They experimented with the crowd at St James Park, inviting them (and the listeners of Real Radio) to vote for the game’s Man of the Match. The system worked well. Paul, his business partner Sam Morton and their chairman Tom Maxfield, invited me to join the board and I soon realised their incredible technology offered a possible solution for the broadcaster. If you can provide viewers with sufficiently engrossing and relevant material on their mobile phones, played out to them live as a programme was being broadcast, you could keep everyone hooked on both screens. It was certainly worth a try. It’s taken a year to develop, and eventually, despite competition from other technologies throughout the world, I sold the concept to Channel 4, who commissioned our production company Standing Stone to make a pilot using the Screach platform. Since then Paul and I have spent the last 6 months co-developing the Dispatches app for the network, which his technical team built and our creatives are filling with rich, interesting content. It launched last week to critical acclaim and tonight will be its first big test. Channel 4’s ambition for second screen matches our own, and it’s probably significant that the person in charge of the project at the network, Vicky Taylor, also comes from Newcastle: she has believed in us from the outset, and as a result our offices in Byker are now buzzing with creativity and optimism. This is a north-east success story in the making. But first the revolution has to take off. 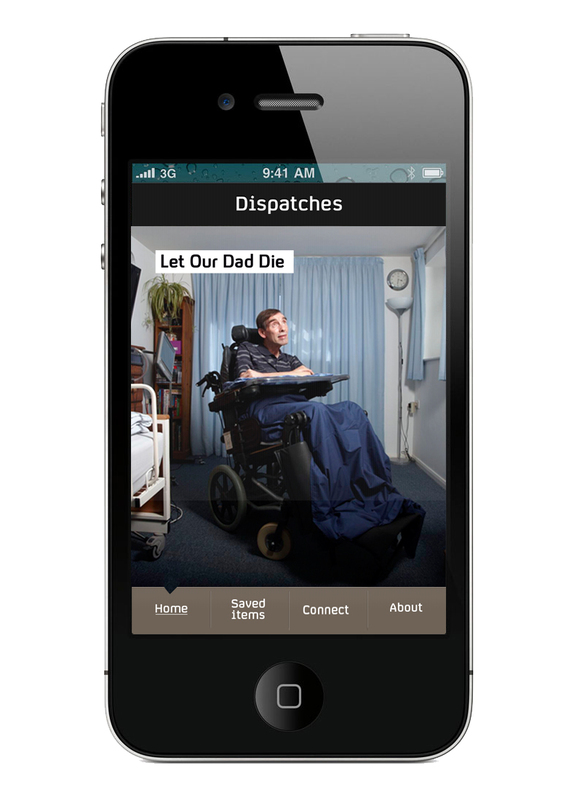 So please do go to the App Store and download the Dispatches app, then tune into Channel 4 and watch the programme tonight. This week’s subject is incredibly moving: it’s about a brave man called Tony Nicklinson who, following a terrible stroke, has locked-in syndrome and is fighting the government for a right to die. It raises huge moral questions, which is why we hope many viewers will use the app to vote and comment on the issues. If you have a smartphone, please do join them.